Testosterone Tests! Saliva or Blood. Which is best? Saliva or Blood. Which is best? (Guest post written by Dr. Richard Cohen). Are you concerned about your male hormonal health but don’t have the time or money to take one of the serum testosterone tests offered by your doctor? Well, you’ll be glad to know that you can now purchase a hormone test kit that will allow you to check your testosterone and your estrogen levels via a saliva sample from the comfort and privacy of your home. Salivary hormone test kits provide you with the best way to easily, accurately and inexpensively monitor your male hormone health. And there are a number of other advantages to salivary hormone assessments. First off, the collection process is simple and painless. It's very easy to collect multiple samples for assessing your hormone levels throughout the course of a typical day. 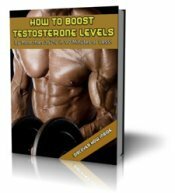 This is important since a man’s testosterone levels can be as much as 40% higher in the morning than they are at night (the physiological reason for your morning erection) and levels go up and down all day long. By polling multiple samples taken during the day, you can improve the accuracy of your testosterone test, dramatically. Salivary hormone test kits are also cost and time effective. Not only are they less expensive, but since sample collection can be done at home with results provided by e-mail, there are no additional payments, waiting time or follow up appointments — the norm for most doctor’s visits. All you need to do is collect your samples in the tubes provided in the test kit and mail them directly to the lab. 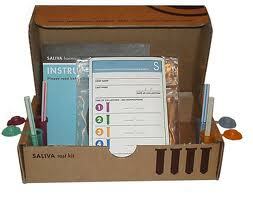 Salivary samples are extremely stable and can be sent by regular mail with no problems. And most importantly, it is essential to understand that inactive, blood-bound hormones do not filter into your saliva. Because of this, salivary hormone test kits provide the most accurate, physiological snapshot of your body’s true hormonal potential because salivary testosterone tests measure the all-important free or bio-available hormones— those that are actually delivered to and act upon your cell receptor sites. In short, saliva testosterone tests check the form of testosterone that really counts. And what about blood hormone testing? Serum assessments provide for a measurement of total testosterone only. And since a total testosterone count includes both the free and bound forms of testosterone, end results can be extremely misleading. This is the case because only one to three percent of the testosterone circulating in your blood is actually bio-available or capable of being used by your body. The other 97 to 99% is inactive and is bound to circulating proteins and unable to bind with your hormonal cellular receptors. In other words, the testosterone is there, but your body can't use it. So quite often a man may have relatively normal levels of total testosterone but have drastically reduced levels of bioavailable free testosterone.. So even though he has plenty of total testosterone in his blood he's still suffering all the brutal symptoms of Low T.
The best way to find out if this is happening inside you is to take one of our saliva testosterone tests. Once it arrives at your door, simply collect your samples, drop them in the mail, and we'll send you your results via email within a matter of days. (Clinical Endocrinology: Nov 2007) - Salivary testosterone is a harmless and reliable marker of testosterone bio-availability. The results of this study support the inclusion of this bio-marker as a noninvasive approach in the evaluation of hormonal status. (Psychoneuroendocrinology: Volume 10, Issue 1, 1985, Pages 77–81) - Changes in saliva testosterone after psychological stimulation in men. (European Journal of Applied Physiology December 2001, Volume 86, Issue 2, pp 179-184 - Preliminary results on mood state, salivary testosterone:cortisol ratio and team performance in a professional soccer team. Do you have info you'd like to share?